This weekend my girls and I read The Remember Balloons and celebrated my Grammy’s 91st birthday. It’s a story that hits close to home as our Grammy has dementia. 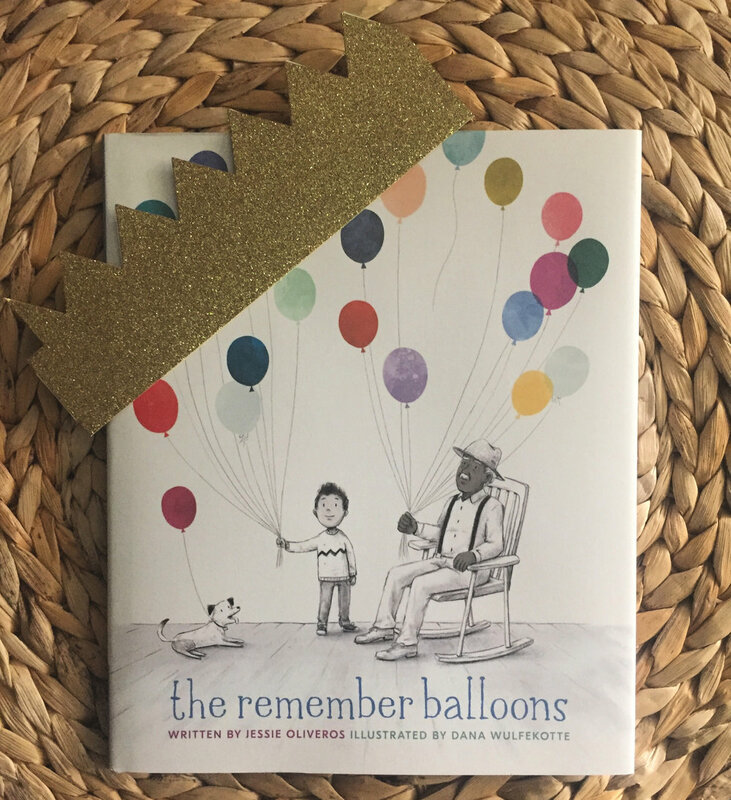 The book is about a child named James and his grandfather, both of them have a host of balloons where their memories are kept; Grandpa often sharing his with James, beautiful moments that are a part of his story — their story. In time Grandpa’s balloons start drifting away and although James tries to catch them, he simply can’t. In his heartache with the help of his parents James learns that the stories his grandfather once told him have become a part of his balloon bouquet too. Although his grandfather lost his memories James has not. And now it’s his turn to share stories with Grandpa. After reading this book we talked about how Grammy doesn’t remember many of the stories she used to tell us, moments we’ve shared. It’s a conversation we’ve had before only this time we had a visual. Thankfully, we still get to hold on to our memories and delight in how it makes her happy to hear us reminisce even if she struggles to reminisce herself. This heartfelt book helps frame aging and memory loss in a way that children can understand and, for me as an adult it’s a reminder to be more intentional with the moments I’ve been given. After all, not all of the memories I’m creating are mine alone. I’m adding to the balloons bouquet carried by the people I love most.